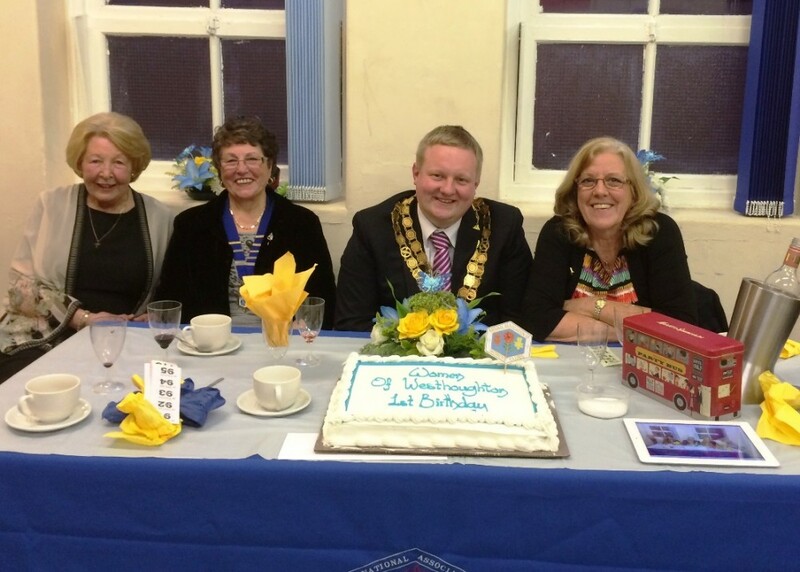 Formed in 2013, the new community group - Women of Westhoughton ('WOW') - the local branch of the National Association of Women's Clubs meets each Thursday at 7:30pm at The Hope Centre on Central Drive. 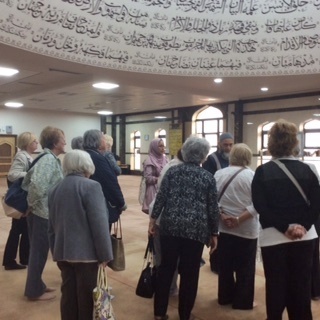 The club is open to all women of any age or culture and from all areas of Bolton to come along and take part in various activities, listen to Speakers on a wide variety of subjects and make new friends. The National Association of Women's Clubs is a national, non political, social organisation for all women, creating opportunities to build new skills by taking part in a wide variety of activities in an atmosphere of friendship and fun and campaigning on issues that matter to members and their communities. 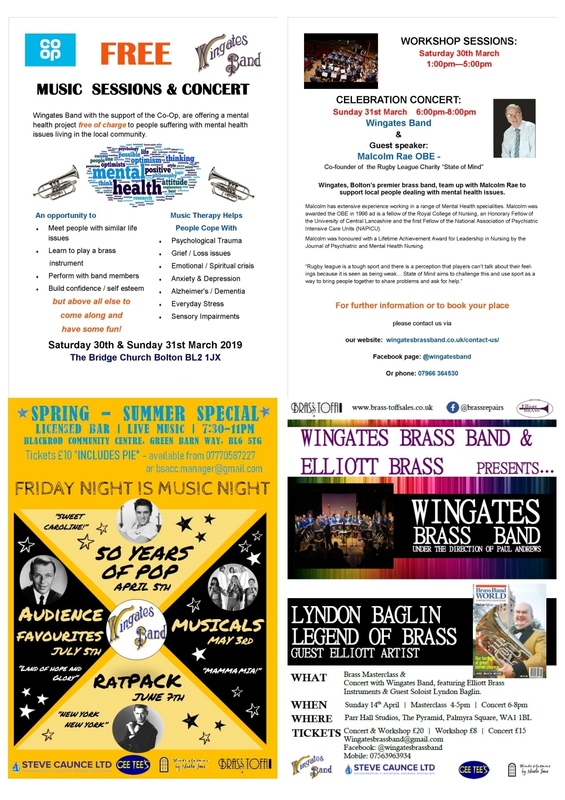 It has some 5000 members in 130 clubs across the country where members enjoy demonstrations, talks and visits to places of interest, theatres and exhibitions. We hold weekends away, summer garden parties and lunches and an annual conference. The group is becoming well-established with new ladies arriving each week who have enjoyed craft evenings, visiting speakers and social games evenings. In July (2013) members joined over 100 ladies from NAWC clubs in the North West at a Luncheon at Haydock Park Golf Club and in November will have another opportunity to meet up at the Social Evening at Padgate Community Centre. 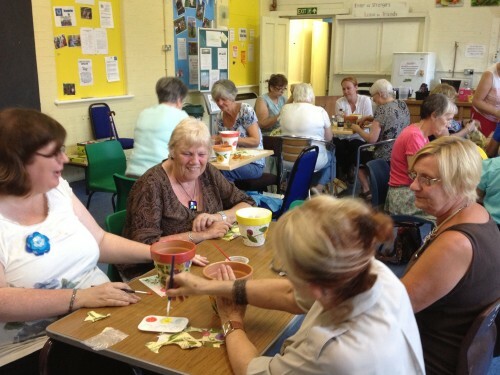 The club programme for the summer included a craft evening, a demonstration of Aromatherapy, a Mock Court and a BBQ which will be a fund-raising event at which all are welcome. Come along, see what we are about, enjoy a cuppa and get to know us. Don't worry about walking into an established group we are all new, of mixed ages and are a really friendly lot. From a standing start at the being of the summer 2013, the group organised many meetings and outings including arts and crafts evenings, games nights, talks on subjects such as 'History of Haigh Hall' and 'The Homeless in Bolton,' as well as have group meals out and theatre trips, and even a visit to Greenhalgh's Bakery. A programme that members found both interesting and entertaining. In 2014 there were 46 WOW! events including talks and presentations, craft sessions and outings - this included a celebratory event for our '1st birthday' (8th May). The chosen charity for money raised was Fortalice (women's refuge). WOW! 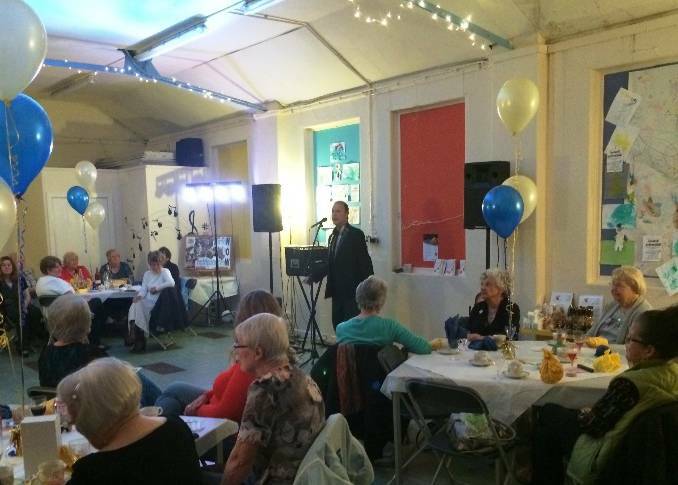 Women of Westhoughton continues to go from strength to strength, the established format being the weekly events or outings with a break over Christmas, and a local charity being supported - one that touched the group in some way. In 2015 WOW! supported Bolton Community Kitchen; In 2016 it was the Zak Vali Foundation, which raises funds to help pay for funeral costs when a child passes after cancer treatment; and in 2017 WOW! raised money for Target Ovarian Cancer, in memory of the National Association of Women's Clubs founder member Chris Martin who passed away the previous October - the group making a donation of £450 for this worthy cause. This year's chosen charity for support is Bury Cancer Support Centre, which is a drop-in centre for anyone whose life is touched by cancer in the Bolton and Bury area. Details of previous years events and activities: Download. 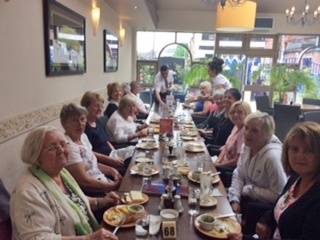 Women of Westhoughton (WOW), the local branch of the National Association of Women's Clubs, have continued to meet each week and had a variety of activities including: Zumba and craft sessions, talks and outings including our Birthday meal at Momentum. 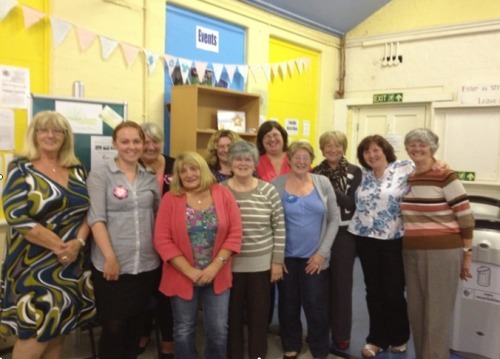 At our AGM in July we chose Bolton Community Kitchen as our charity for the year. Some of our guest speakers have already donated their 'fees' and, as we have a number of very talented ladies, we hope to raise funds from our 'Homemade Sale' in December. There will be a Pasty 'n' Peas Supper and all are invited. 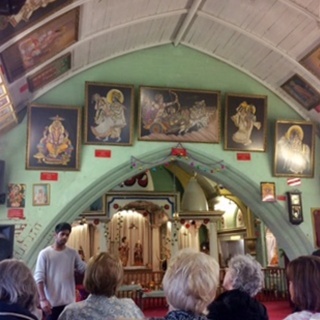 On July 25th, members had the opportunity to learn more about our varied community by visiting Bolton’s oldest Hindu Temple and Mosque in a 'Taste of Asia' outing which was organised through Bolton Tourism. The outing was financed by a successful bid to the Big Bolton Fund. "The Taste of Asia Trip was an excellent day. From the outset we were made to feel welcome wherever we went. The mini-bus was well appointed, very clean and comfortable with a most courteous and helpful driver. We were welcomed at the Hindu Temple and care and concern for our comfort and well-being. Information about the Hindu religion was given to us in an appropriate, considered manner by a delightful young man. He answered questions and invited us to browse round and 'explore'." We had lunch at Olympus before visiting House of Raja's and going on to the mosque. "We were again made to feel welcome at the Mosque, taken to various parts where some rituals were explained to us. Again, nothing was too much trouble and all questions and queries were answered in a very pleasant manner." We contributed to the recent Yarn Bombing event by creating a knitted and crocheted replica of our badge which was made in to a banner to be paraded at this year’s NAWC Conference in December in Altrincham. 2015 is the 80th Anniversary of the NAWC and there have been a number of events held around the country including a luncheon at Haydock Park Golf Club which was enjoyed by members of WOW. There is also to be a Festival of Carols and Christmas Music in the Crypt at Liverpool's Metropolitan Cathedral in the afternoon on December 11th. In recognition of the work done by and for the Association, a number of members including WOW Chairman, Janice Bayliss, were invited to the Royal Garden Party in July, which was fantastic! Women of Westhoughton or 'WOW' has now been going for three months. Currently there are around 25 members aged 40-80 from in and around Westhoughton who meet on Thursdays at 7:30 pm in the Communiversity (now Hope Centre) in Central Drive, Westhoughton, BL5 3DS The group have made many new friends and have enjoyed a wide variety of activities and talks. Members have tried their hand at Silk Painting, making Felt Brooches and decorating plant pots; they have listened to a number of speakers on a range of subjects - the benefits of Aloe Vera and Aromatherapy, a talk by a local JP and enjoyed meals out including a Ladies Luncheon at Haydock Park Golf Club where they met up with other NAWC members from the North West… Download full update. 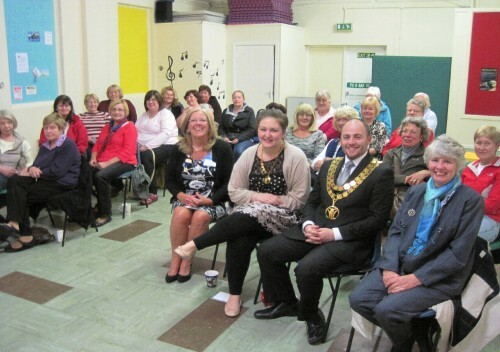 Janice Bayliss, National Vice Chairman of the NAWC welcomed ladies to the well-attended first meeting of a new club for Women of Westhoughton. In his last civic duty before relinquishing his chain of office, the Julyor, Councillor Ryan Battersby and the Julyoress Miss Amy Longthorn came to give their support, taking part in a quiz about Westhoughton past and present and proving that they, especially the Julyor, as you would expect, were very knowledgeable about their locality. WOW, the local branch of the National Association of Women's Clubs, celebrated their 1st birthday with a Belgian chocolate demonstration given by the very versatile and amusing Andy Lloyd of Island Truffles & Treats, which was followed by a cream tea of sandwiches, homemade scones with jam and cream and birthday cake. Later Andy entertained with his 'Cliff Richard Tribute Show' singing numbers made famous by many stars of the 60's. The party, held to thank the committee and club members for their support in making WOW such a success in this first year, was made possible with a grant from Bolton CVS for which we are extremely grateful. WOW continue to meet each Thursday at 7:30pm in the Community Centre in Central Drive, Westhoughton, BL5 3DS We have a varied programme of Speakers, Crafts and Social Evenings arranged for the summer months including a trip to Farfield Mill in Sedbergh and on the last Thursday of each month we have outings to the theatre or a restaurant. 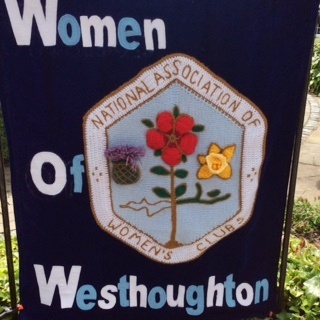 For more information about the National Association of Women's Clubs, and in particular our new group in Westhoughton contact Janice on 01942 842487. The group is now on Facebook : Women of Westhoughton on Facebook. NAWC Website | NAWC on Facebook.